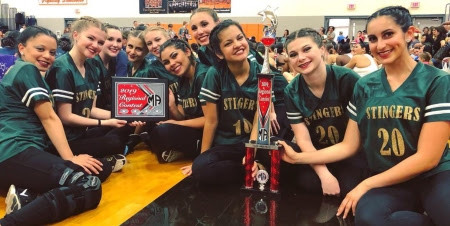 Attending the MA Dance Florida State Championship on March 9 was a success for the MCC Stingers. They received the Super Sweepstakes Trophy for receiving a superior rating of above a 90 in all three of their routines. Choreography awards were presented for their routines in Jazz, Contemporary, and Pom. Also they were honored with the High Point award for their Contemporary routine. A strong end to an amazing season. Way to go Stingers!